We mourn the death of Paul Perry, who will be remembered as one of the people who shaped western Nevada County into what we know today. 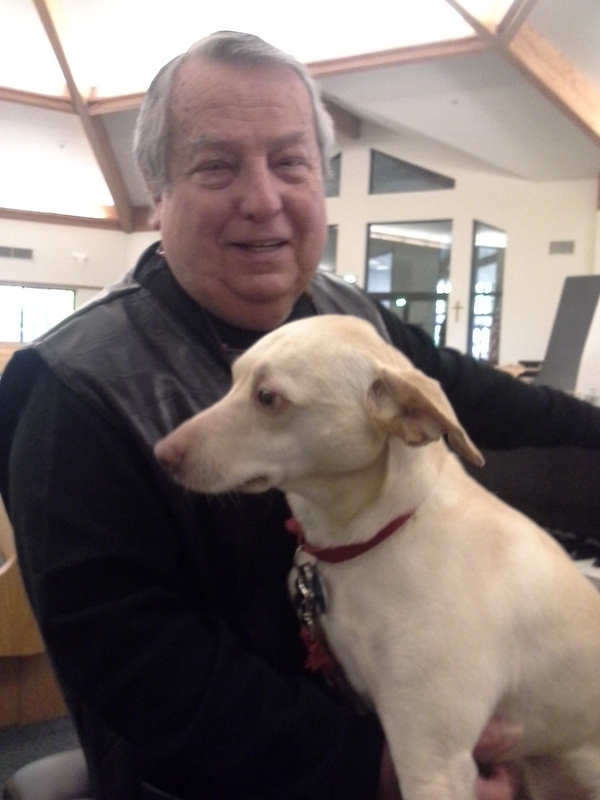 Paul was the pianist and organist at PEACE Lutheran Church for 21 years. As a member of our faith family, we cheered Paul on as he did for this community, through music, what Osborne and Woods did for architectural preservation; what Sierra Nevada Memorial Hospital did for medical care; what KVMR and KNCO did for radio broadcasting and public discourse; what the Grass Valley Group did for technology; and what Sierra College’s Nevada County Campus did for education. Paul helped put this area on the map when he co-founded Music in the Mountains, our top-flight orchestral organization that attracts musicians from around the country. He was part of a great movement of people and organizations since the 1950s that have made this area an attractive destination in which to live and to vacation. Our long-time pastor, the Rev. Richard O. Johnson, was on the board of Music in the Mountains (he still sings in the MiM Chorus) when he met Paul. Through that connection, Paul started playing at the church in 1990. Paul helped shape our worship services at PEACE into what is now a weekly interlude of devotion and praise through the highest-quality music. 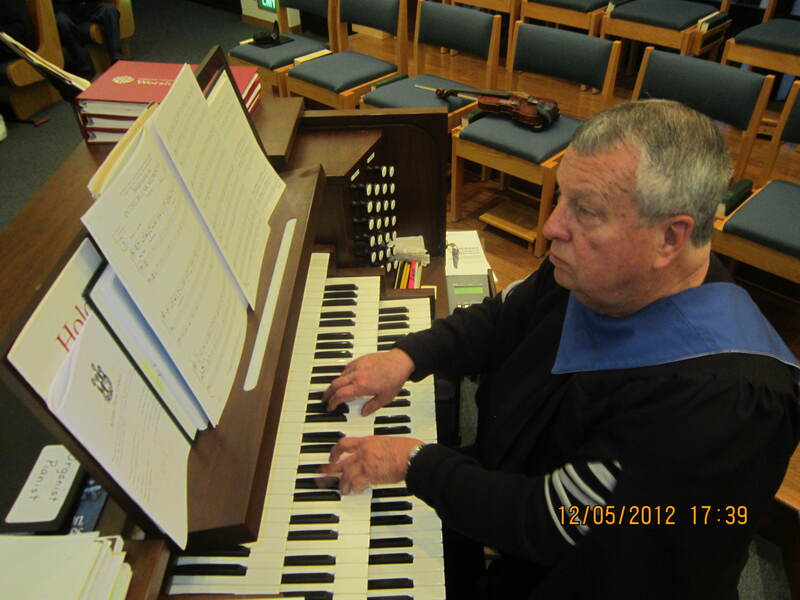 He worked with our choir and with guest musicians to bring the best of Western sacred music into our sanctuary. PEACE Choir Director Myrna Heppe called it a “privilege” to have worked with Paul for two decades. “Even though I am not as musically trained as he was, Paul always supported my leadership, and we worked as a team to enhance our quality of music in worship,” Heppe said. Paul didn’t have children of his own, but every young person with musical talent became his “child,” receiving pointers and encouragement as they prepared for performances with MiM and worship services. Mature musicians who no longer play professionally also found a mentor in Perry – and a venue at PEACE. Most recently, Paul had the joy of seeing one of his young protégées, trumpeter Rebekah Shuholm, make the All State Honors Band. Rebekah, a high school junior and PEACE member, has the added distinction of being chosen a leader within her section at the honors band. Every December for nearly two decades, Paul brought to our community a signature series of short concerts at PEACE that offered listeners a relief from the rush of year-end holidays – a moment to reconnect to the true meaning of Christmas. Perry started this in the 1990s, inspired by similar concerts he had offered while living previously in San Francisco. He took great joy in planning and performing at these mini-concerts, which were always free of charge. Paul once said that he felt music was God’s gift to him, and through his music, he praised his Creator and helped others feel closer to the Divine. Paul had recently announced plans to retire from his central role at PEACE this coming June. He was planning a new chapter in his life: A move to Napa County, living with a long-time friend, being closer to the music scene in San Francisco. It had been a difficult decision, one he had mulled over for many years. He was excited about it! We had planned a suitable farewell for a man who had played such a key role in building up the worship life of our faith community. That farewell came sooner than any of us had expected. We are comforted in knowing that, after many years of working to bring the Kingdom of Heaven here to Earth, we will see Paul again in a kingdom where death has no sting.